Volkswagen paid huge government penalties in the U.S., but virtually nothing in Europe. Two things now seem clear: Some very senior officials knew of the wrongdoing — and they’re not likely to face meaningful prison time. This article was co-published with Fortune. On Dec. 6, former Volkswagen engineer Oliver Schmidt was led into a federal courtroom in Detroit in handcuffs and leg irons. He was wearing a blood-red jumpsuit, his head shaved, as it always is, and his deep-set eyes seemed to ask, “how did I get here?” As Schmidt’s wife tried to suppress tears in a second-row pew, U.S. District Judge Sean Cox sentenced him to what, had it been imposed in Schmidt’s native Germany, would rank among the harshest white collar sentences ever meted out: seven years in prison. Schmidt was a henchman, everyone understood, and his sentence, a stand-in. The judge was addressing a set of people in Germany who are beyond the reach of U.S. prosecutors because Germany does not ordinarily extradite its nationals beyond European Union frontiers. Above all, the Detroit courtroom was haunted by the shadow of an individual who was absent: Martin Winterkorn, who was VW’s CEO during almost all of the fraud. His name was uttered only twice, yet his aura loomed over the entire hearing. The outlines of the scandal are well known. For nearly a decade, from 2006 to September 2015, VW anchored its U.S. sales strategy — aimed at vaulting the company past Toyota to become the world’s No. 1 carmaker — on a breed of cars that turned out to be a hoax. They were touted as “Clean Diesel” vehicles. About 580,000 such sedans, SUVs and crossovers were sold in the U.S. under the company’s VW, Audi and Porsche marques. With great fanfare, including Super Bowl commercials, the company flacked an environmentalist’s dream: high performance cars that managed to achieve excellent fuel economy and emissions so squeaky clean as to rival those of electric hybrids like the Toyota Prius. It was all a software-conjured mirage. The exhaust control equipment in the VW diesels was programmed to shut off as soon as the cars rolled off the regulators’ test beds, at which point the tailpipes spewed illegal levels of two types of nitrogen oxides (referred to collectively as NOx) into the atmosphere, causing smog, respiratory disease and premature death. At first, Volkswagen insisted the fraud was pulled off by a group of rogue engineers. But over time the company has quietly backed away from that claim, increasingly focusing on protecting a small cadre of top officials. The crime may well have started among a relatively small number of engineers afraid to admit to feared top executives that they couldn’t reconcile the company’s goals and the law’s demands. Over the past two years, prosecutors in the U.S. and Germany have been tracing who was aware of the scheme and have identified more than 40 people involved, spread out across at least four cities and working for three VW brands as well as automotive technology supplier Robert Bosch. In a new, potentially explosive move, some U.S. prosecutors are pushing to indict Volkswagen’s former CEO. Such a step would be largely symbolic — the U.S. has no power to extradite them — but it would send a message that the misconduct was egregious and directed from the top. And it would highlight a stark contrast in punishment. U.S. authorities have extracted $25 billion in fines, penalties, civil damages and restitution from VW for the 580,000 tainted diesels it sold in the U.S. In Europe, where the company sold 8 million tainted diesels, it has not sustained any major fines, nor offered snookered owners a single Euro in compensation. There’s no doubt that Schmidt was guilty. He admitted that he’d been part of a cover-up. Yet he was far from the mastermind. Schmidt claimed not to have learned of the cheating until June 2015, just three months before the decadelong conspiracy ended, though he admitted that he “suspected” it in 2013. Schmidt, now 48, was an engineer who for several years was VW’s main point of contact with U.S. environmental regulators. He had only recently been promoted to a midlevel officer (making about $170,000 a year) when he got involved in the cover-up. Everything about him exuded a car-oriented company man. Born in Lower Saxony, the VW-dominated state where about 110,000 of the company’s 600,000 employees work, Schmidt came to the company in 1997, straight out of military service. About 50 personal letters submitted through his attorney — “I don’t think I’ve ever seen as many,” Cox observed — extolled him as a loyal and loving son, brother, husband, uncle and friend. In his spare time, the letters recounted, Schmidt enjoyed collecting old slot-car racing sets and restoring classic VW Beetles. 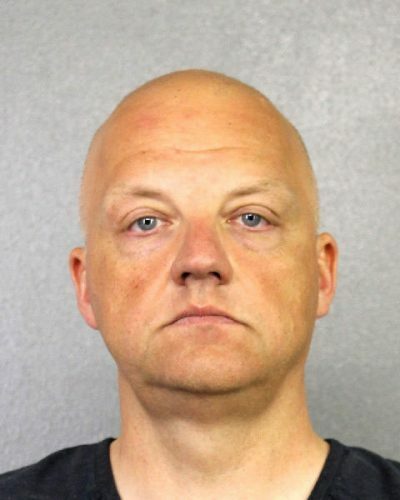 When Schmidt got married, in 2010, he and his wife — herself an automotive engineer — held the ceremony in the showroom of a friend’s Volkswagen dealership in Miami. Schmidt was an all-too-loyal VW lifer. His punishment was designed to further “general deterrence,” Cox explained at the hearing. In other words, the point was to send a message to other corporate officials that following illegal orders is no defense. It doubtless reflected frustration as well. Schmidt had committed his crime, Cox told him, “to impress … senior management and the board.” He was talking about Winterkorn, who was not only CEO from 2007 until the scandal brought him down in 2015, but also chairman of the company’s management board. Schmidt and a second employee had made presentations to Winterkorn and other senior officials at a meeting on July 27, 2015, according to versions of the facts endorsed by both Schmidt’s counsel and the prosecutors. Winterkorn was a notorious micromanager — he was known for carrying a micrometer with him, so he could personally measure VW parts and tolerances down to the hundredth of a millimeter — and an imperious martinet. He was also then the highest paid CEO in Germany, having made $18.6 million the previous year, more than 100 times Schmidt’s pay. Schmidt and a colleague had been summoned before Winterkorn to help solve a crisis. U.S. regulators had taken the drastic action of refusing to permit the sale of VW’s model year 2016 diesels — so crucial to its U.S. strategy — and the CEO wanted Schmidt to explain what was going on. As Schmidt would lay out, regulators with the California Air Resources Board (CARB) and the U.S. Environmental Protection Agency had discovered a serious anomaly: VW Clean Diesels complied with NOx-emissions standards when tested in the lab, but then discharged up to 40 times the legal limit when driven on a road. Dissatisfied with more than a year of evasions and stonewalling, the regulators had decided to bar VW’s 2016 diesels from the U.S. until they got better answers. The July 2015 meeting with Winterkorn delved into detail about the company’s misbehavior, legal filings allege. “An unindicted co-conspirator presented certain technical aspects of the defeat device,” according to Schmidt’s sentencing memo. (“Defeat device” is the phrase used to describe the software that enabled VW diesels to fool emissions tests.) Schmidt warned attendees of “the potential severe consequences to VW if regulators discovered the cheating.” A slide in his presentation raised a disturbing prospect — “Indictment?” — according to the FBI agent’s affidavit that initiated the charges against Schmidt. If one believes the prosecutors and Schmidt — that Winterkorn was unmistakably informed of the cheating at the meeting — the CEO’s response to that information looked suspiciously like a cover-up. Winterkorn did not direct his subordinates to notify authorities about the cheating or launch an investigation to determine exactly what had happened. Instead, he sent Schmidt on a mission to persuade U.S. regulators to allow the sale of 2016 VWs. In August 2015, Schmidt flew from Germany to Michigan, where he successively lied to two CARB officials. He emailed “detailed updates” to his boss in Germany and 10 other “senior people,” conveying that “he was following the script of deception and deceit that VW, with Schmidt’s input, had chosen,” prosecutor Singer stated. Finally, a different VW engineer, unable to stomach the deceit any longer, went off-script and confessed to CARB during a meeting on Aug. 19. 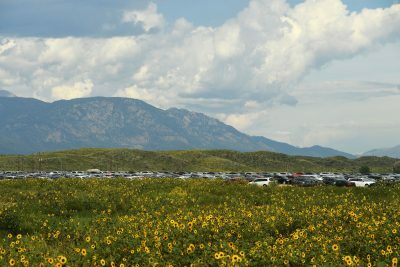 A VW supervisor formally conceded use of the defeat device to regulators on Sept. 3, and the EPA and CARB made VW’s confession public on Sept. 18, 2015. Winterkorn stepped down five days later, asserting that he was “stunned” by the events of “the past few days,” adding that he was “not aware of any wrongdoing on my part.” The company’s supervisory board exonerated him the same day, stating that he “had no knowledge of the manipulation of emissions data.” In testimony before the German Parliament in January 2017, Winterkorn insisted he had never even heard the phrase “defeat device” until the scandal erupted publicly. On four occasions that day he declined to answer legislators’ questions, citing ongoing criminal inquiries by German prosecutors. Will he ever be? Will anyone higher up the ladder than Oliver Schmidt ever answer for this remarkable crime? It’s very unclear. U.S. prosecutors want to indict Winterkorn, but have not yet received approval from the brass at the Department of Justice, according to two sources familiar with the process. That would seem like a huge step. Yet in truth, a U.S. indictment of Winterkorn or other top VW figures is increasingly becoming moot simply because the prosecutors can’t gain access to most of the key figures in the case. Winterkorn hasn’t set foot in the U.S. since the scandal broke and, after Schmidt’s crushing sentence, is not likely to do so anytime soon. Among the eight VW engineers charged in the U.S., only Schmidt and James Liang, a non-supervisor sentenced to 40 months this past August, are actually in the U.S., and only one other — an Audi engine development supervisor, Zaccheo Giovanni Pamio, who happens to be an Italian national — is extraditable. That means the judicial focus is shifting to Germany. There, three sets of prosecutors are certainly going through the proper motions. 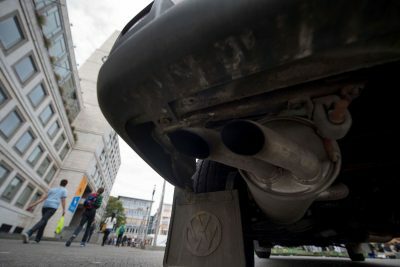 The authorities in Braunschweig — acting for the state of Lower Saxony, where both the parent company, VW AG, and its VW brand passenger car unit are based — say they are investigating 39 individuals for fraud in connection with Dieselgate, one for obstruction of justice, and three for financial market manipulation (which in this instance would mean the failure to promptly disclose the gestating crisis to shareholders). In Munich, Bavarian prosecutors are looking at 13 individuals at VW’s Audi unit, based in Ingolstadt, for fraud and false advertising. And in Stuttgart, three executives are under scrutiny for market manipulation. Yet progress is strikingly slow. There have been only two German arrests so far. One was of Pamio; the other was of Wolfgang Hatz, a senior supervisor at, successively, Audi, VW and Porsche. German prosecutors do not confirm the identities of detained individuals or what they’re charged with, but the Munich probe is focusing on fraud and false advertising, the office says. We may not see many criminal prosecutions in Germany, let alone convictions or lengthy sentences. The country’s law presents many serious hurdles. There’s no criminal liability for corporations, for starters. There’s no statute barring a criminal conspiracy, no relevant criminal clean air law, and no law against lying to regulators or investigators. (The latter is actually protected by the robust German right to silence, according to Carsten Momsen, a law professor at Berlin’s Free University.) Prosecutors’ tools to reward and turn perpetrators into state witnesses are weaker than those wielded by their American counterparts. And some of the criminal laws that do exist — written to catch individuals who swindle other individuals — may be ill-suited to capturing the corporate machinations that happened in this case. The result is breathtakingly different outcomes for both the company and its customers in the two countries. In the U.S., the system has delivered swift consequences. Facing harsh corporate criminal sanctions, flexible and draconian criminal laws, and streamlined consumer class-action procedures, Volkswagen quickly capitulated. Within nine months — breakneck speed in the legal realm — it agreed to pay roughly $15 billion in civil compensation and restitution to consumers and federal and state authorities for the 2.0-liter cars involved, and the sum has since crept up to more than $25 billion, as deals were reached for the 3.0-liter cars, and for criminal fines and penalties. 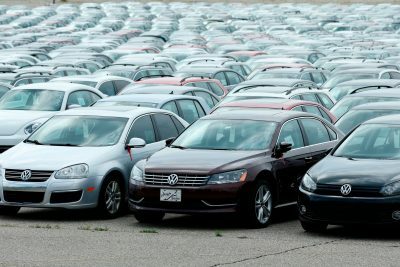 Volkswagen has bought back or fixed most of the offending vehicles, and customers have received thousands of dollars per car in compensation for a variety of losses, including the deception itself and diminished resale value. The company pleaded guilty in April to federal criminal charges of conspiracy, fraud, making false statements and obstruction of justice. VW gave U.S. prosecutors liberal access to the fruits of an investigation it commissioned by the Jones Day law firm, which conducted more than 700 interviews and collected more than 100 million documents. (The inquiry is ongoing, according to VW.) VW also helped recover forensically thousands of pages of documents that had been deleted by scores of VW employees in the final days of the conspiracy. In return, U.S. prosecutors gave the company credit for cooperation, slicing 20 percent from its criminal fine, which came to $2.8 billion even after the reduction. In Canada, too, the company has paid compensation, including a $290 million deal for 3.0-liter cars just reached in January. And in South Korea, Volkswagen also paid dearly, receiving record fines and seeing eight local VW and Audi officials charged criminally, with one now serving an 18-month prison term. Yet in Germany and Europe, it’s been a totally different story. There, VW has not offered compensation to any customer. In Germany, where the key decisions were made and all the decision makers reside, no criminal or administrative fines or penalties have yet been imposed. Even when German law enforcement has taken aggressive action, it has been stymied so far. Last March, Munich authorities raided Jones Day’s German offices and seized materials from the firm’s VW investigation. But the Federal Constitutional Court has temporarily blocked their examination, at Jones Day’s request, while it sorts out issues of attorney-client privilege and the privacy rights of interviewed employees. German court precedents are deeply divided on these questions, according to professor Momsen. The definitions of “defeat device” in the U.S. and EU are nearly identical. Nevertheless, VW contends the software was lawful outside North America. Germany’s Federal Motor Transport Authority, or KBA — notoriously lax in its diesel oversight policies — rejected this theory in December 2015. The company has also insisted non-American customers suffered no injury. Because of more lenient NOx limits abroad, it maintains, most of those cars could be fully addressed with simple software fixes. Yet many engineers can’t fathom how software alone could possibly repair a NOx problem without correspondingly reducing fuel economy and undermining the durability of the emissions control equipment — the very problems that led VW to cheat in the first place. The KBA and other national regulators have approved these fixes, but haven’t released any test results shedding light on what the recalls achieved. “VW could not do miracles regarding NOx emissions without replacing the hardware,” argues Yoann Bernard of the International Council on Clean Transportation, which commissioned the 2014 study by West Virginia University that first revealed VW’s use of a defeat device. Plaintiffs’ lawyers abroad are suing VW over the affected diesels there. But, like the criminal authorities, they are hampered by a slew of handicaps. Under EU rules, all 8 million EU customers who bought Dieselgate cars could theoretically sue in Lower Saxony, where VW AG is based. But in Germany there are no consumer class actions. In addition, plaintiffs have very limited discovery rights; lawyers are prohibited from accepting contingency fees; and plaintiffs who sue run the risk that if they lose, they will have to pay not just their own legal fees, but a portion of their adversary’s, as well. To be sure, VW isn’t yet in the clear. It may yet be hit with penalties worth hundreds of millions of euros, imposed by German state prosecutors or by the BaFin, the Federal Financial Supervisory Authority (something like the U.S. Securities and Exchange Commission). And two groups of plaintiffs — VW shareholders, and owners of VW diesels — are attempting to overcome the obstacles to civil litigation. The bigger threat comes from German shareholders, who allege that VW failed to disclose the budding scandal. Plaintiffs’ lawyers are using a “model” litigation mechanism, a class action analog available only for shareholder suits, which is scheduled to begin in September in the Higher Regional Court of Braunschweig. But that procedure is expected to take years and the amount recovered may be a fraction of the huge sums sought (€9.5 billion, or $11.2 billion), depending on how early or late the court concludes VW should have disclosed the crisis. At the same time, an innovative “group action” was filed in Braunschweig in November on behalf of a German consumer group — to whom 15,347 VW diesel owners had assigned their claims — by the Berlin office of the American law firm, Hausfeld. European and, especially, German industrial, labor and even environmental policy favored the production of diesel cars. Regulatory oversight was slight, penalties for violations were trifling, and national regulators were disinclined to handicap their home country’s carmakers vis-à-vis those of neighboring countries, whose regulators were presumed to be winking at the same gamesmanship. Dieselgate’s $25 billion consequences in the U.S. have transformed the political landscape in Europe, however. The scandal has drawn attention to a long simmering public health issue that, it turns out, was not caused by Volkswagen alone, but rather by the diesel car industry and the political culture that nurtured and protected it. For example, a European government report has found that 72,000 EU residents die prematurely each year because of NOx emissions. In February, the Administrative Law Court in Leipzig will decide a case brought by an advocacy group called Environmental Action Germany that could eventually result in diesel car bans in as many as 70 German cities. 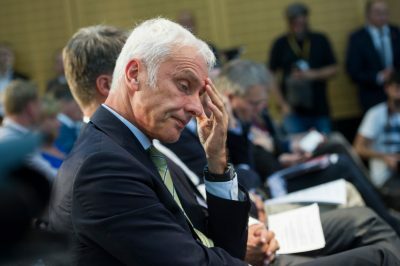 Diesel auto sales are dropping precipitously in anticipation, and in December VW CEO Matthias Müller shocked the automotive world by suggesting in a newspaper interview that the time had come for Europe to abandon key tax subsidies that have long supported the diesel industry. The regulatory, environmental and cultural gap between the EU and the U.S. is closing. But it was that chasm that spawned Dieselgate, and that chasm that Schmidt toppled into. So there is some injustice in the fact that Schmidt will pay so dearly. Yet there will be even greater injustice if he is the only one to do so. The key contours of the Dieselgate affair emerged soon after the scandal broke. Since then the slowly accumulating evidence amassed and presented (or leaked) from criminal, civil and media investigations have only made the breadth of VW’s conspiracy clearer. Examining the chronology of the company’s behavior in light of that information leaves little doubt that knowledge of the wrongdoing reached high up the ranks, repeatedly coming within a whisker of CEO Winterkorn himself. VW’s U.S. strategy was born under then-CEO Bernd Pischetsrieder, and continued when Winterkorn replaced him in January 2007. In early 2008, Winterkorn announced a 10-year plan that called for tripling the company’s U.S. sales by 2018, enabling it to surpass General Motors and Toyota to become the world’s leading automaker. Clean Diesel was the linchpin of the plan, which, by mid-2015, had succeeded. Winterkorn was the protégé of the chairman of VW’s supervisory board, Ferdinand Piëch. (German companies have two boards: a management board, composed of top executives, and a non-executive supervisory board.) Piëch, who had been CEO himself from 1993 to 2002, was considered the most influential figure in the company’s history. A gifted engineer and prophetic leader, he was also ruthless; Piëch boasted about his willingness to fire executives if they didn’t deliver quickly. VW had an arrogant culture, shielded by the vital role the company plays in its nation’s economy; its officials’ cozy relationship with German politicians; and its unusual quasi-public status (the state of Lower Saxony controls 20 percent of its voting stock). Piëch had survived major scandals, including a corporate espionage debacle in the 1990s, which led to a $100 million settlement with General Motors, and a nearly decade-long labor scandal that surfaced in 2004, in which the company made illegal payments to labor representatives and politicians. The company had a “corrupt corporate culture,” lacking in “openness and honesty,” former Deputy U.S. Attorney General Larry Thompson, who became VW’s outside monitor in June under the terms of its U.S. guilty plea, told a German newspaper in December. And so the two sets of VW engineers, located in different cities, embarked on their missions. One group would design the 2.0-liter engines for VW and Audi cars. A second set, from Audi, would design the 3.0-liter engines for SUVs and luxury vehicles for both brands. Both groups quickly homed in on the same solution: a defeat device. It is unclear whether they acted independently; to date U.S. prosecutors have not alleged coordination. 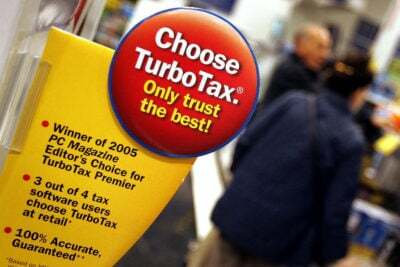 Each group was aware of, and adapted, a variant of the cheating software that Audi had developed as far back as 1999, and had in its diesel V6 SUVs in Europe from 2004 to 2006. At the time that the earlier cheating software was allegedly being implemented on Audis in Europe, Winterkorn was already just a couple steps from the action. He was CEO of Audi, while Hatz — reportedly a Winterkorn confidant — was Audi’s head of engine development. When Winterkorn became CEO of VW AG in 2007, he promoted Hatz to head engine development for VW AG. A succession of four top supervisors for engine development for the VW Brand, serving from 2006 to 2015, all knew about the cheating software, as did, from as early as 2006, the head of exhaust control measures for all of VW AG, according to U.S. prosecutors. Three of these five individuals have been indicted in the U.S., for conspiracy to commit wire fraud and making false statements. But all are in Germany, beyond the prosecutors’ extradition powers. 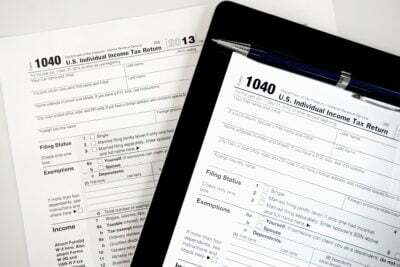 (None have filed papers in the Detroit criminal proceedings. Lawyers for two of them declined comment, and the others could not be reached by ProPublica.) None of the five have been charged in Germany. In 2011, the cheating spread to a third VW brand in another city, seemingly creating still more opportunities for word to leak up to executives. VW had just acquired Porsche, and Porsche engineers in Stuttgart sought to adapt Audi’s 3.0-liter diesel engine for use in a Porsche Cayenne SUV for the U.S. market. That September, Audi engineers explained to Porsche engineers how the cheat software worked, according to a civil complaint filed by the New York State Attorney General’s office, and Porsche adopted the fraudulent technology. By this time Winterkorn had moved Hatz to Porsche as head of research and development. He served on Porsche’s management board, where he worked alongside VW’s current CEO, Müller. Meanwhile, in Wolfsburg, problems with the 2.0-liter diesel exhaust systems were forcing knowledge of the cheat software further up the corporate hierarchy to people who knew Winterkorn personally and well. Engineer Liang had learned of unusually high numbers of hardware failures involving the NOx treatment equipment. The problem, as he diagnosed it, stemmed from the fact that the equipment was being used too much — not just during lab testing, but sometimes on the road. He proposed refining the cheat software to ensure that full exhaust treatment would be triggered solely during testing. In July 2012 he and other engineers met with Hans-Jakob Neusser and Bernd Gottweis, according to U.S. prosecutors. Neusser was then head of engine development at the VW brand. Gottweis was a member of the powerful Products Safety Committee, answering to the head of quality management at VW AG, Frank Tuch. Tuch met weekly with Winterkorn, according to an account in VW’s in-house magazine. Gottweis was a close confidant of Winterkorn and was sometimes referred to as “the fireman” at VW — someone who put out fires. In late 2013, the fact that cheat software was being used in 3.0-liter engines reached the top echelons of Audi, according to U.S. prosecutors, presenting still another opportunity for someone to blow the whistle. An Audi engineer, prompted by the concerns of a manager in the environmental certification department, had his people prepare a presentation to a “then-senior executive and member of Audi’s brand management board,” describing in detail how the software worked. The engineer who sent the presentation advised every recipient to delete the email and attachment after downloading it. 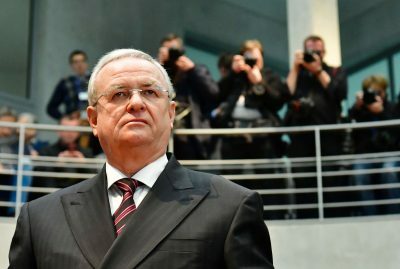 In March 2014, the biggest clue about the criminal conduct festering within VW began filtering out into the automotive community, soon reaching Gottweis, Tuch, and, through them, Winterkorn. At an industry conference, researchers at West Virginia University presented a study, which would be published in May. 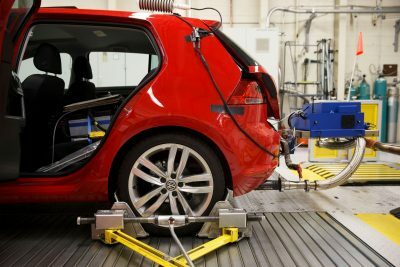 They had studied the emissions of three randomly selected diesel cars available in the U.S. A BMW X5 had done fine, but a VW Jetta and VW Passat had each performed suspiciously, passing the test in the lab, but emitting up to 35 times the lawful NOx limit during real-world driving. In Wolfsburg, VW engineers, led by Neusser, Gottweis and others formed an ad hoc committee to address the study. Their goal, according to prosecutors, was to concoct evasive and misleading responses to regulators’ anticipated questions. One was. At its behest, VW engineers, including Liang, lied to CARB and EPA regulators for more than a year. They even promised regulators that they’d address the problem with a software fix, carried out through yet another recall in late 2014. In November, Winterkorn was advised of this recall in a one-page memo that estimates the fix would cost just €20 million to effectuate — a negligible sum for a company whose 2014 net operating profit would come to €12.7 billion. Winterkorn, in his testimony before the German Parliament, said the memo reassured him that the problem had been addressed. But by early 2015 CARB had discovered that the recalled vehicles still exceeded NOx limits during real-world driving. By that time, Schmidt, who’d been at VW’s environmental office in Auburn Hills, Michigan, for three years, had been promoted. 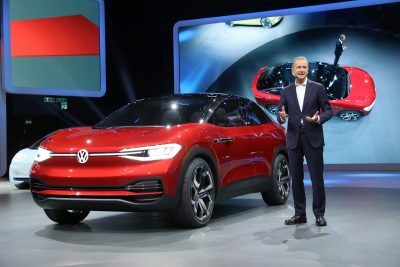 In February 2015, he had returned to Wolfsburg to become one of three deputies to Neusser, who, by then, had become chief of development for the VW Brand, overseeing 10,000 employees. In July, CARB told VW engineers that it would refuse to certify the company’s 2016 diesels until it got better answers. 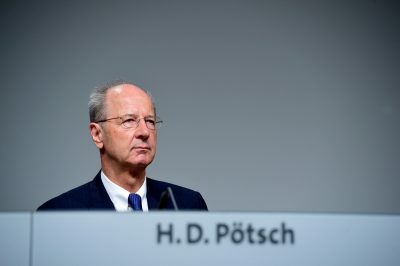 That precipitated the July 27, 2015, meeting at which Schmidt and a colleague made their presentations to Winterkorn and other top executives, including Herbert Diess, then and now the highest executive in charge of its VW brand passenger car unit, and a member of VW’s management board. The lying to US regulators continued until Aug. 19, when an engineer confessed to CARB regulators. Later that month, after word of this development reached Wolfsburg, a high-level in-house attorney notified employees that a “litigation hold” would be issued on Sept. 1, after which they would not be permitted to destroy pertinent documents. About 40 Volkswagen engineers took this as a directive to start deleting immediately. Some notified Bosch engineers, who did the same. Top VW officials clearly sensed trouble. By August they had asked the American law firm Kirkland & Ellis to look into possible regulatory liability for use of a defeat device. VW received the reassuring news that the largest fine that had ever been meted out for a Clean Air Act violation had been just $100 million, in 2014, for an incident involving 1.1 million cars — more than twice as many vehicles as were then known to be implicated in VW’s Clean Diesel problems. Yet the incident being used as a benchmark was hardly similar. In that instance, Hyundai-Kia, which never admitted wrongdoing, had overstated fuel economy by 1 to 6 miles per gallon because it used figures obtained in the most favorable tests it had run, rather than by averaging results from a large number of tests. But the cars’ emissions were never illegal, no recalls were required, and no lying to regulators had been alleged. On Sept. 3, 2015, a VW supervisor confessed to CARB in writing the use of a defeat device, formalizing his subordinate’s earlier oral admission. Winterkorn was notified the next day, VW has acknowledged. Still, despite German laws requiring that material market information be disclosed immediately, VW shareholders were given no inkling that anything was amiss. They learned only when CARB and EPA stunned the world on Sept. 18 with the news that the company had admitted using an illegal defeat device on close to 500,000 2.0-liter cars sold in the U.S. The Justice Department announced a criminal investigation the next day. Three days after that, VW revealed that some 11 million cars worldwide were equipped with the dual-mode software that the U.S. regulators had discovered. Over that week, the company’s shares lost about €32.5 billion in value ($38.5 billion at today’s rates). In the ensuing months, the total decline ballooned to about €55.6 billion ($66 billion). The participants held more than 1,000 meetings relating to 60 working groups on different aspects of automotive production, including emissions control. 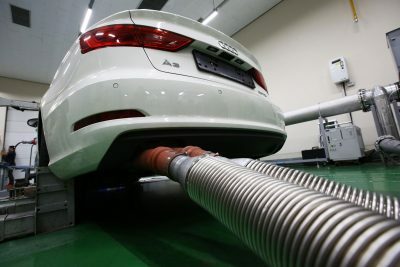 As early as 2007, according to the magazine, the emissions group began colluding on specifications for exhaust equipment that was used to control NOx emissions in some of the diesel engines. This new scandal could hurt VW executives by bringing even more scrutiny to their actions — or help them by suggesting every car company was doing the same thing. In early 2018 came yet more news that sullied German automakers, as filmmaker Alex Gibney’s “Dirty Money” documentary and The New York Times’ Jack Ewing reported that research organizations funded by those manufacturers — including VW — had, in 2014, gassed monkeys with diesel exhaust fumes from a modern-day, allegedly Clean Diesel VW and an old Ford diesel pickup truck, each running on rollers in a lab, in order to show their relative effects. When the news broke in January, VW CEO Müller wrote to employees, calling the tests “unethical, repulsive and deeply shameful” and apologizing for “the poor judgment of individuals who were involved.” The CEO said the company is investigating and “we will be coming to all the necessary conclusions.” VW’s stock price fell when the reports of the monkey tests emerged. But that was a minor bump in a resurgence of the company’s shares: They’re now priced just above where they were when Dieselgate was revealed. That Liang and Schmidt — and perhaps eventually Pamio — would end up being the only ones to take the fall for Dieselgate in the U.S. is happenstance. Though Liang was working in Wolfsburg when the conspiracy began in 2006, he was transferred in 2008 to VW’s Oxnard, California, test center, near Los Angeles, to help with the Clean Diesel launch. He was still working there in October 2015 when the FBI knocked on his door in the nearby affluent community of Newberry Park. 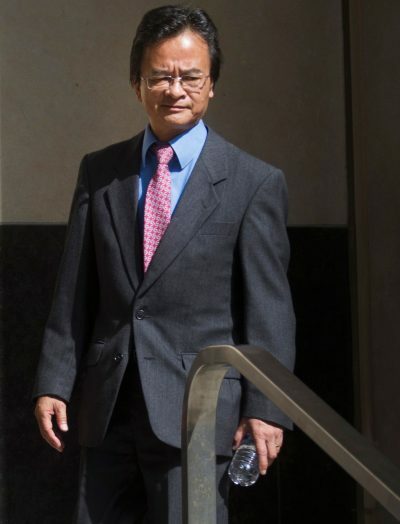 Liang began cooperating immediately, according to the government. A slight, mild-mannered man with a wife and three children, Liang, now 63, had worked for VW for 34 years. He was never a supervisor. Still, because of his long involvement in the scheme — from start to finish — Judge Cox sentenced him last August to 40 months in prison, a lengthier term than prosecutors had requested. Schmidt’s presence in the U.S. was strange, even reckless. Acting without counsel, he contacted FBI agents in November 2015, offering aid with their investigation. The FBI flew him from Wolfsburg to London to meet with him there. U.S. prosecutors flew there, too, to participate. But the agents and prosecutors later determined that Schmidt lied extensively at the five-hour debriefing, falsely exonerating himself and his superiors, and setting back their probe. Evidently imagining that he was still on good terms with the government, in December 2016 Schmidt had his U.S. lawyer notify the FBI that he and his wife would be travelling to Florida later that month for their annual Christmas vacation. (He owned some rental properties in Florida, and had hoped to retire there.) On Jan. 7, 2017, as they headed home to Germany, eight officers converged on Schmidt in a men’s room at the Miami International Airport. They brought him out in shackles and then led him away. His wife was left alone, crying amid a pile of luggage. Indeed, scores of consumer lawsuits have been tried in Germany and Volkswagen appears to be winning most of them, according to newspaper accounts and interviews with three European plaintiffs’ lawyers. Even when judges have ruled that VW used an illegal defeat device, many have still concluded that consumers suffered no compensable injury. The main remaining criminal statute in play is the one barring market manipulation. VW executives might appear to have been astoundingly tardy in notifying the market of the building crisis at their company. Yet there are hurdles here, too. Executives can point, for instance, to the Kirkland & Ellis report — predicting modest sanctions in the vicinity of $100 million — and argue that that didn’t sound like a “material” loss that needed to be disclosed. Additional reporting by Jesse Eisinger. Update, May 4, 2018: On May 3, 2018, a federal court in Michigan unsealed a criminal indictment against Martin Winterkorn. (The filing also updated indictments of six previously charged former VW executives, including Bernd Gottweis and Hans-Jakob Neusser.) The indictment, which was filed in March, charges Winterkorn with conspiracy to defraud the United States and VW’s customers and violate the Clean Air Act by misleading regulators about VW’s diesel vehicles. It also charges him with three counts of wire fraud.